Is this message normal ? But i wounder about a message that happen under installation. Is OnePiece Windows XP Post-SP3 UpdatePack v7.2.1 something new/updated :O? is that the current list for DX Universal UpdatePack :O? Even newer hotfix when it comes! But a tool like that maybe is to hard to do? It is a must to have KB892130 and KB905474 when makes pack? So nonno fabio have download all this Hotfix in every language he have made a pack of manually :O? Do I need to download all updates/hotfix and have in one map:O then use this tool? but are it only 2 updates different from 2013-05_1 :O? What really is "DX Universal UpdatePack/Addon Creator"
you make like " Onepiece XP Post-SP3 AIO Update Pack" and other addons but in other language ? "Onepiece XP Post-SP3 AIO Update Pack" :O ? 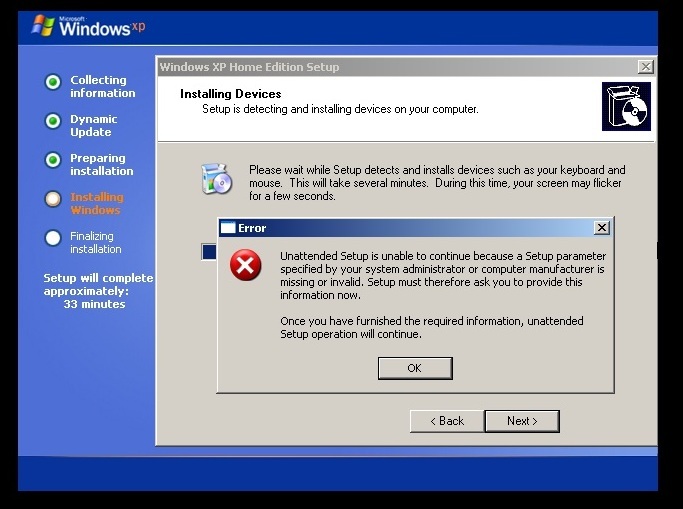 Topic: Windows Vista hotfix list? Someone know where i can see/find a complete update list for Windows vista service pack 2? I got remote desktop icon on the accessories, that is feature only for xp pro. Is it some update in this pack that makes it so ? Can i use this pack on XP Home SP3 or it just for Pro ?